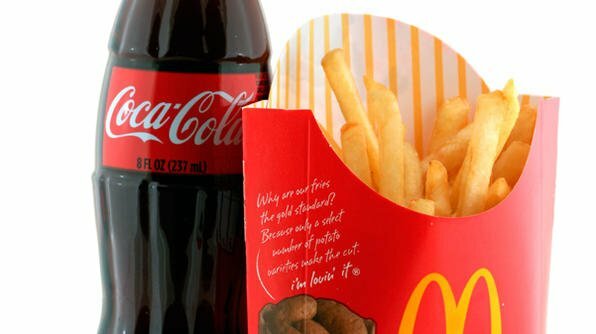 McDonald’s and Coca-Cola have posted sharply lower profits for Q3 2014. McDonald’s saw earnings fall 30%, while Coca-Cola’s fell 14%, with both citing lower US sales as key reasons. The fast-food chain’s profits of $1.07 billion were also hit by a food scandal in China, contributing to a 4.6% fall in revenues to $6.99 billion. Meanwhile, the world’s largest drinks group made a $2.1 billion profit on revenues that were broadly flat at $11.9 billion. McDonald’s US sales have been under pressure as consumers switch to other chains, notably the fast-growing Chipotle Mexican Grill. Sales also fell in Russia, Germany and especially in China, where McDonald’s was hurt by a scandal over meat supplies. McDonald’s CEO Don Thompson admitted that the trading performance was not good enough: “McDonald’s third-quarter results reflect a significant decline versus a year ago. Meanwhile, Coca Cola said that its US sales were down 1% during the quarter. Consumers are increasingly turning to alternatives to sweet, fizzy drinks. The company’s profits also suffered because of currency fluctuations and strengthening of the dollar. In August, Coca-Cola spent $2.15 billion for a 16.7% stake in Monster Beverage energy drinks business. As part of the deal, Coca-Cola transferred ownership of its own, less successful energy drinks, including brands NOS, Full Throttle and Burn, to Monster.